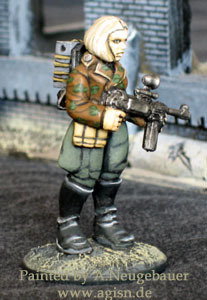 Goetterdaemmerung is part of Jim Bowen’s Graven Images miniature lines. 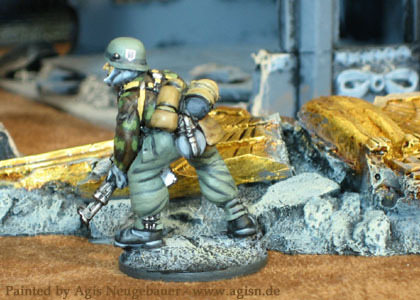 Very nice 40 mm (roughly 1/48 scale) miniatures. Check the Official Yahoo Group for all things related to the setting of Disturbia and its sister titles Goetterdaemmerung, Goetterruestung and Cliff hanger. Find out what’s new and read the latest background, all from the mouths of Jim Bowen & Steve Mussared the men who dreamed it all up. 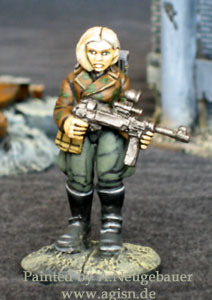 Jim Bowen’s Graven Images is a fairly new company, being distributed by Monolith. 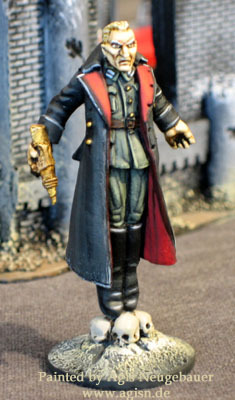 Currently a new figure is being added nearly every day to the catalogue, so feel free to check their website regularly. 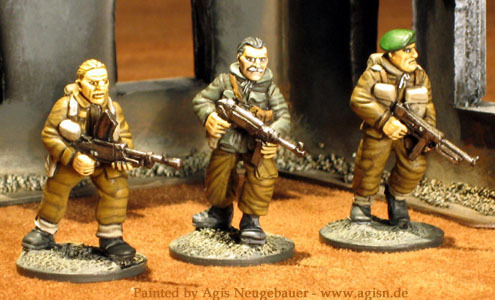 I like the line because the minis are very easy to paint, they have an huge range of disturbing alternate history WW2 minis and a fantastic Yahoo group. I fully intend to paint more of this line. The 1947 German needs an opponent. 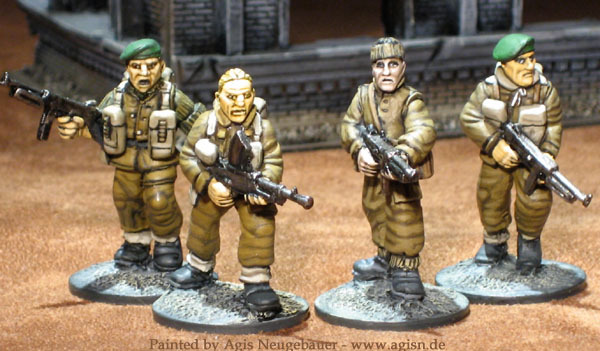 The British Commandos (Pack Gott029) are fitting the bill quite nicely. 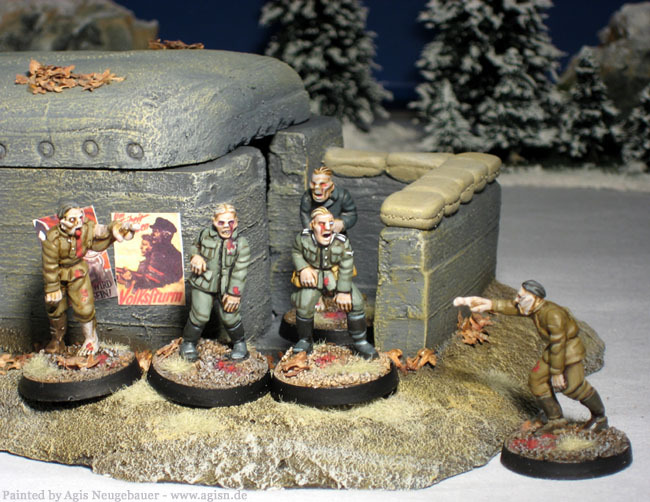 And even more Goetterdaemmerung madness: 30mm Zombies from East Riding Minis.